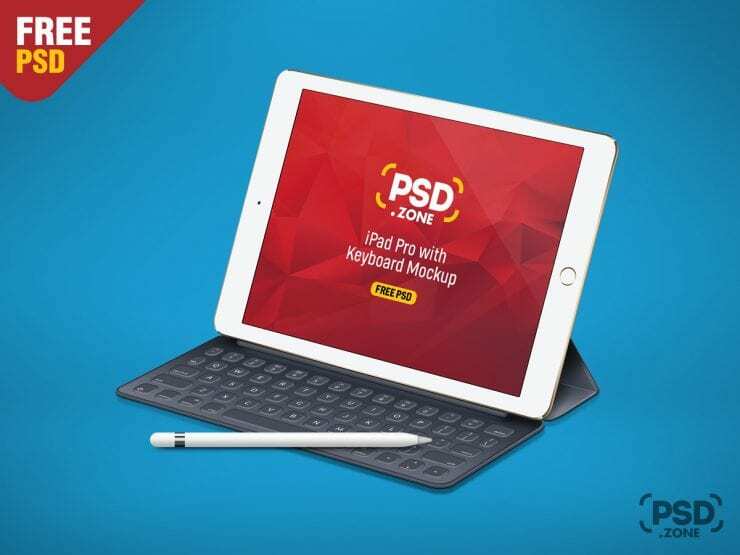 Download iPad Pro with Keyboard mockup for free. This iPad Pro Mockup is available for free to download. This is iPad Pro with Keyboard Mockup PSD. Showing the ipad pro with keyboard in clean environment. This iPad Pro with Keyboard Mockup is also ideal for presenting your responsive website, app ui design , wallpaper and other design elements.